There is no information on the Trade Coin Club website indicating who owns or runs the business. Infact, at the time of publication the Trade Coin Club website was nothing more than a placeholder for the company’s logo. The Trade Coin Club website domain (“tradecoinclub.com”) was privately registered on August 2nd, 2016. Alexa currently estimate that the two largest sources of traffic to the Trade Coin Club website are the US (22%) and Brazil (18%). Trade Coin Club has no retailable products or services, with affiliates only able to market Trade Coin Club affiliate membership itself. Every four months each Trade Coin Club affiliate must pay a 25% fee on ROIs paid out. Referral commissions in Trade Coin Club are paid out via a unilevel compensation structure. Residual commissions in Trade Coin Club are paid out via a binary compensation structure. Both binary sides start off with one position. Once filled, a second level is generated by splitting each of the two binary positions into another two positions each (4 positions). At the end of each day new investment volume is tallied up on both sides of the binary team. A Trade Coin Club affiliate is paid a percentage of funds invested on their weaker binary side. These fees are used to pay recruitment commissions via a 3×12 matrix. These three positions form the first level of the matrix. The second level of the matrix is generated by splitting each of the three positions into another three positions each (9 positions). Subsequent levels of the matrix are generated in the same manner (up to 12 levels), with a complete 3×12 matrix housing 797,160 positions. Positions in the matrix are filled via direct and indirect recruitment of new Trade Coin Club affiliates. For each matrix position filled in their matrix, a Trade Coin Club affiliate is paid 0.003 BTC a month (so long as each affiliate in the matrix continues to pay their monthly fee). A bonus 0.003 BTC commission is paid out if a personally recruited earns five times the amount they’ve invested. Trade Coin Club’s Rank Achievement Bonus is based on how much bitcoin an affiliate earns through residual binary commissions a month. Trade Coin Club represent that revenue to pay daily ROIs is sourced via cryptocurrency trading software. Our system makes millions of micro transactions every second, making it humanly impossible. Allowing our members to generate profit every second, every hour and every day. First there’s no evidence that Trade Coin Club has any such system, much the less that it generates the promised minimum daily advertised ROIs. Second, if the owner(s) of Trade Coin Club had such a system, why would they need to solicit investment from affiliates? Even a modest bank loan would eventually turn into a fortune under a 0.45% daily ROI scenario. The mandatory 25% ROI fee every 4 months is also another tell, as Trade Coin Club affiliates are already slugged with monthly fees. The 25% fee is just a vehicle to trap paid out funds in the system for longer. The reality of Trade Coin Club is the only verifiable source of revenue entering the company is affiliate investment. Not withstanding the large percentage of invested funds used to pay recruitment commissions, further denting the credibility of ROI generation through legitimate cryptocurrency trading. 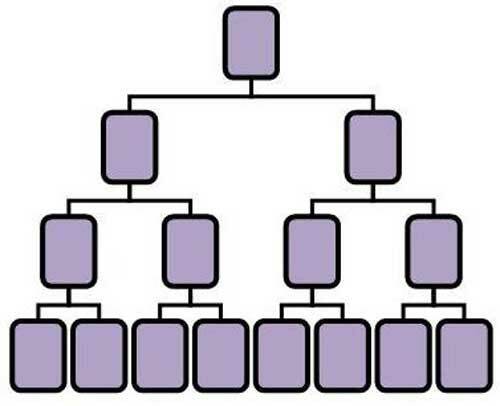 On their own, Trade Coin Club’s recruitment commissions make the company a pyramid scheme. Combined with the daily ROI you’re looking at a Ponzi pyramid hybrid. Throw in the lack of information provided about the company, who’s running it and the use of bitcoin, and Trade Coin Club is pretty much set up the same as any other cryptocurrency based Ponzi scheme. Once recruitment dies down and the daily ROI collapses, best of luck getting your bitcoin back from the anonymous Trade Coin Club scammers who stole it. Fact is that no one really knows about trading cryptocurrency so this article sheds very little information regarding if they are truly earning or not. Banks will NOT LOAN funds to these types of entities so that argument(prevalent in most reviews) fails. Douver Braga (WCM777, Vizinova, Jeunesse, Airbit Club, Insônia Club) is the real owner. Uh, yeah they do. Cryptocurrency trading isn’t some big mystery. this article sheds very little information regarding if they are truly earning or not. That’s entirely because Trade Coin Club don’t provide any information to suggest they are trading cryptocurrency. And in any event, legitimate trading of anything doesn’t pay out a guaranteed ROI. What “entities”? Take out a personal loan and at 0.4% a day you’ll still be rich. Only verifiable source of revenue entering Trade Coin Club is affiliate revenue. Daily ROI? Ponzi scheme confirmed. Recruitment commissions? Pyramid scheme confirmed. It’s a scam. You cannot guarantee a daily ROI on altcoins. Where is this altcoin listed, how much is it being traded for? I don’t see TradeCoin listed on cyptocurrency market cap, so where is it listed and trading? 100% REAL OWNER – Douver Braga (WCM777, Vizinova, Jeunesse, Airbit Club, Insônia Club) is the real owner. Ryan Conley is pimping Trade Coin Club as the ultimate passive income. He just can’t resist cryptocurrency based Ponzi schemes. of course he does. one doesn’t have to prove the alleged currency even exists. I will gladly accept some publicity on this project as you all love to talk about me as I help spread Bitcoin across the earth! What is so bad about that? I support the mission at TCC and we have great plans to feed the needy across the world as we help send Bitcoin to $10k a coin working with Kim Dotcom. Ryan Conley: I support the mission at TCC and we have great plans to feed the needy across the world as we help send Bitcoin to $10k a coin working with Kim Dotcom. Wake up and understand we are here to change the world. by all means feed the needy, but stealing from people to feed the needy is not ‘charitable’ at all. and what’s with the name dropping @kim dotcom? what does he have to do with TCC? desperate much?? have you finished ‘helping’ bitcoin with bitclub network and das coin? now bitcoin is begging you to help with trade coin club? the use of bitcoin by scammers like ryan conley harms the case for cryptocurrency rather than helps it! don’t look for ‘excuses’ to participate in ponzi/pyramid scams conley. everyone knows you’re a career scamster and you don’t have to pretend otherwise, because it just makes you look scummier. Sorry your life is so pathetic and non interesting at all Anjali! I am glad to be me and not a downer like you seriously! Keep watching everyone or take action with us. @Ryan What does any of that have to do with Trade Coin Club being a Ponzi scheme and you a serial Ponzi scammer? Own your thievery, don’t hide behind your daughters. And how would that help Bitcoin? Fluctuation of bitcoin value has been a significant minus for any kind of use of bitcoin as a currency. Value increase to tenfold from current (already high) value would just make it even worse. Let’s not forget that Ryan Conley’s wife divorced him because of his obsession with Ponzi schemes and refusal to get a real job. Anyone taking a blind stab of any of my personal life is a jealous hater. Everyone who knows me my children are well taken care of. Ryan, we can see you pimping your dad’s Trade Coin Club link on your Fan Page. Will your daughters be next because you’re such a great father? It’s sad when Ryan takes his friends money even his friends that were apart of his wedding. Ryan you need to research what it is your selling before you preach about it. TCC is a ponzi scheme. They don’t trade crypto currency. Why would a crypto day trader only trade on weekdays??? Crypto trading is the new York stock exchange on steroids, it never sleeps and is going on 24/7 365. If TCC is operated by a bot why would it not trade on weekends too??? TCC won’t even say what exchange they trade members money on. Sketchy!!! Also TCC lets you pick how aggressive you want to trade. There is no slim, or moderate trading in crypto it’s always aggressive trading. whenever guys like ryan conley are called out for being career scamsters, they fall back on the same old tired tirade of – y’all are pathetic/losers/haters/poor/sad/etc/etc. how disappointing! i would imagine career scamsters would be more creative than that. but, seeing how all these ponzi thieves are rushing to launch one cryptocurrency scam after another, maybe they are not so original at all! we live in our mothers’ basement. We are all destined to remain poor and on welfare. It’s OK for scammers to promote a wholesome image by using their family, but if anyone refers to said family, they are a jealous hater. In further news, Ryan Conley is yet again promoting an illegal scheme and talking about everything BUT what makes this scheme different than all the others or what makes it sustainable and/or legal. Ryan says all of us who are exposing TCC as a Ponzi and calling him a Ponzi pimp are “pathetic, non-interesting, and jealous hater.” That’s the best you could do? Seriously? You’ve got a lot to learn about name-calling if that’s the best you can do. Really pales in comparison when I was called, and I quote: “A bottom-dwelling, scum-sucking, low-life, pond scum, boot-licking, groveling Nazi government snitch.” And he was a Ponzi pimp just like you. Come on Ryan, get creative. I know you can do it. If you tried as hard at name-calling as you do pimping Ponzi’s this would be a piece-of-cake for you. After reading this article, I don’t know how the Trade Coin Club cannot be a scam. What legit online business has just a logo for a homepage? What are they trying to hide? It might help to wait for this to officially launch before jumping to conclusions. Help who? Potential victims of financial fraud or scamming affiliates? Trade Coin Club’s compensation plan is known, therefore the company can be reviewed. If they’re lying to the public about their business model then that’s a separate matter. This is what happens when people jump to conclusions. The official Pre-Launch isn’t until January 28th. It isn’t unusual for a company that hasn’t even had their Pre-Launch to not have their official website live yet. Poor LOL. This article must be hurting recruiting. The comp plan clearly proves this is a Ponzi and everything else is just utter BS. No formal launch needed. It’s a Ponzi now and it will still be a Ponzi when it officially launches. This article must be hurting recruiting. Not at all. This is currently only open for VIP leaders in this industry (By Invite Only) & most of them are intelligent enough to know this website is on par with the 2 liberals that run Snopes. If Ryan Conley is the yardstick for Trade Coin Club VIP leader intelligence, I’m going to have to call you out on that claim. Outside of his Ponzi scamming, a trait common with Trade Coin Club “VIP leaders”, I have no interest in Conley. I was merely using him as an illustrative point to counter your claim that there’s any intelligence required to scam people through Ponzi schemes. Then let’s stay on topic please. In your own humble opinion, what exactly makes Trade Coin Club a Ponzi scheme? I ask because you seem to like using that word very loosely. The comp plan alone does not qualify as proof. If you think it does, then it shows your ignorance to this industry. In your own humble opinion, what exactly makes Trade Coin Club a Ponzi scheme? Same as any other Ponzi scheme, using newly invested funds to pay off existing investors. The comp plan alone does not qualify as proof. A compensation plan is definitive proof that an MLM company is operating as a Ponzi scheme. This can be evidenced in every regulatory action against an MLM Ponzi scheme, which primarily focuses on the compensation plan. If you think it does, then it shows your ignorance to this industry. Who’s ignorant? The guy calling a spade a spade or the guy trying to assert that a business model has no bearing on the legitimacy of a company? I’ve been reviewing MLM opportunities for far longer than you’ve been scamming people in your little crypto Ponzis son. LOL: then it shows your ignorance to this industry. To which industry are you referring? Are you suggesting that Trade Coin Club is on par with the industry standard? There is already one started on realscam. Oz isn’t the only one who doesn’t want people to be scammed by repeat offenders. Char: To which industry are you referring? “There is already one started on realscam. Oz isn’t the only one who doesn’t want people to be scammed by repeat offenders. So… you’re already back to Ryan Conley again? FYI, I guess you don’t realize this but Ryan doesn’t own any part of this company. He was simply given an early invitation to join as a member. If there are any names worth focusing on, maybe you can start with someone that actually is an owner of Trade Coin Club? Nothing yet. It seems they would be bending over backwards and forwards to provide such evidence. Ryan Conley is as well known in English language pyramids as Allan Smith is known in pyramids as the Spanish language. Only pyramids work because their lives are pathetic. Douver Fraga is a shame for the healthy industry and legal business, only burn people and leave thousands of corpses. Most of the “industry” sleazebags I’ve come across pushing TCC are previously associated with BitClub Network, the aforementioned C*nley, Joff Paradise (sic), Hoàng Nguyễn Huy to name a few. Back in September ’16, BCN made a big deal about their up and coming “arbitrage bot”, developed by Genesis, the hashrate provider for their predatory mining scam. There are two likely relevant points here: either the BCN cabal decided to go ahead after Joe Frank Abel “dropped a couple of mill” on the bot and then found out it was non refundable; or the idea of such a bot existing prompted another run of the mill crypto “arbitrage” scam, nailed on to their customary MLM structure. I reckon the idea pushed here by LOL and others that Braga is the “owner” of this scheme is disinformation, he doesn’t have the brains or the MO. Stay tuned guys. The Pre-Launch is set for January 30th. Until then you’re simply pushing conspiracy theories & connecting dots that aren’t even there. Lol.. Since when was a compensation plan “conspiracy theories and connecting dots that aren’t there”? Have Trade Coin Club been lying about their business model this entire time? The real deal about this company is that RENATO RODRIGUEZ & GUTEMBER DO SANTOS ARE ALSO OWNERS WITH DOVER BRAGA. THIS WILL BE A HUGE SCAM. what info I got its based in Belize web domain has been purchased on a 10 year licence with 4 owners Jeff Paradise, Douver Braga and Pedro Hollanda and Geraldo Marques. they just come out with a you tube video for TCC but haven’t seen yet. I also think this is scam. The pre-launch just happened last weekend & the official website for TradeCoinClub is now live. What exactly is real? A bunch of monitors with some blurry graphs on them? I’m sorry does Ryan Conley’s video offer accounting proof linking Trad Coin Club ROI payouts to cryptocurrency trading? Nah, didn’t think so. The only verifiable source of revenue entering TCC remains affiliate investment. And this is clearly a securities offering being run by at least one US-based scammer and pitched to US residents. Did Conley’s video reveal an SEC registration? Nah. Ponzi fraud all the way. LOL: Looks pretty real to me guys. Bernard Madoff had more than one office. Andy Bowdoin had an office. Paul Burks had an office. Sir Allen Stanford had offices all over the world. They are all serving jail sentences for fraud. OMG, what a pathetic video. Wow, look at all those monitors, this must be a real! NOT! Please don’t regurgitate what your upline told you without providing documented proof. A few monitors with blurry stock video graphs isn’t fooling anyone. This is the hottest trend in Cryptocurrency today. TCC was just smart enough to combine it with Network Marketing. FYI, I actually have high resolution pictures of the business licenses & trading license that TCC operates under. I have also spoken with the owners behind this company & have done my due diligence. I actually have high resolution pictures of the business licenses & trading license that TCC operates under. The fact that these aren’t public speaks volumes. I have also spoken with the owners behind this company. The fact that Trade Coin Club’s owners are in hiding also speaks volumes. This is not how a legitimate MLM company is set up. It is however par for the course for MLM underbelly scams – complete with affiliates running around the internet trying to convince people illegals scams are legal. Which, when it comes to doing due-diligence into an MLM company, is the single most important factor. As per its compensation plan, Trade Coin Club is operating as a Ponzi scheme. All the shady crap surrounding the company only further supports this. The owners are NOT hiding. Lol… they are actually very active & you can find many videos on YouTube along with WEEKLY webinars & phone calls. Before making any investment, carefully read any materials you are given and verify the truth of every statement you are told about the investment. For more information about how to research an investment, read our publication Ask Questions. Investigate the individuals and firms offering the investment, and check out their backgrounds by searching the SEC’s IAPD website or FINRA’s BrokerCheck website and by contacting your state securities regulator. Of course, if a “business” website doesn’t provide info about its management or the jurisdiction under which it operates, it’s (surprise, surprise) difficult to adequately “investigate” anything … which in itself should be enough to tell potential suckers investors to walk away. Here’s some other helpful info for folks who are unfamiliar with the bitcoin ponzi scheme “industry”. The owners are NOT hiding. The fact that you have to refer to them as “the owners” confirms they are hiding. In addition to no information provided on the TCC website. Did you seriously just get a copy of the TCC comp plan and write your blog while putting in NO EFFORT into contacting anyone within the company? Why? Are Trade Coin Club lying about their business model in their compensation plan? If a scam is a served dish, its compensation plan is the recipe. It should be the core of any due diligence into an MLM opportunity. Any company that solicits investment from US residents needs to register with the SEC. Other countries have their own securities regulators. Shell registering your Ponzi scheme offshore doesn’t change regulatory requirements. Okay, can you please reference where in the SEC regulations it requires companies who trade BTC off shores to register with them? Especially a company that is licensed in another country. That is all I’m asking. I am also looking into this company. I’m not a strawman, ponzi pimp, or any of your words that you throw at anyone who questions you. The SEC regulate securities and investment fraud in the US. That covers investment opportunities offered to US residents in any currency. If you want more information consult the SEC website and/or US Securities and Exchange Act. I’m not going to copy and paste pages and pages of US regulation. If you want to discuss sovereign citizen conspiracy theories do it elsewhere. Your nutjob ideology doesn’t justify Ponzi fraud. well.. duh.. if this miracle trading platform/system/gypsy/savant/bone thrower exists – why do they need investment? why not just borrow $50 from a friend and keep compounding it into infinity? From the license and its number seen in their office images, I did a search at Belize government’s business registry and seemed they are registered and the license number and other details matches exactly. So they are legit in formal business sense. What’s a Belize shell company registration cost? Few hundred? Rent a local virtual address, fill in a form. You’re now a Belize corporation. Looks like Zukuls days are numbered and he’s just rinsing his member base for whatever is left. So basically Zukul to Rush is now nothing more than an email list he’ll spam third-party scams to. The latest of which is Trade Coin Club. FACT: #TRADECOINCLUB made $20,000,000 in #Bitcoin trading yesterday and $30,000,000 the day before.. According to Blockchain.info, TOTAL gross Bitcoin trading volume on all major exchanges for those two days was $8,485,000 and $12,103,000 respectively. You said that the daily ROI is 0.35%, 0.40%, and 0.45% depending upon investment level. But their website says that the maximum daily loss you will sustain is 0.35%, 0.40% and 0.45%. It nowhere suggests that those figures are represent income. These figures show that actual trading is occurring, due to substantial potential losses. This review was published in December, 2016. TCC has changed the wording on their website in an attempt at pseudo-compliance, but what they’re offering is still the same. *Contract term or gains above 5X the amount invested, obligates you to renew the contract. 500% ROI. It’s right there. Nobody is investing thousands of dollars into TCC expecting to lose 0.45%. These figures show that actual trading is occurring, due to substantial potential losses. Forensic accounting linking trading activity to ROI payouts would be proof of actual trading occurring. Not words on a website. YIKES Ryan now calls it a scam! Aaaaand this is why your MLM due diligence begins and ends with the company’s business model. John: YIKES Ryan now calls it a scam! Hands up anyone who is surprised. The sad thing is if Conley was being totally honest, he’d have to admit the same thing is going on with FutureNet. It’s just another adcredit Ponzi. Only now they’re looking to launch their own altcoin pump and dump scam. John: Ryan now calls it a scam! And it ONLY took him 60 days to figure it out, eh? Is he eating humble pie yet? Or is he in denial that he ever called other people fools for criticizing him? He’s definitely not eating humble pie. Turned against former close colleagues, but it seems much of this is personal. Some nasty stuff on that video. My understanding is that Futurenet has outside revenue that allows them to pay out on their advertising packs…. much like MyPayingAds does. The key is getting verification on this outside revenue. As far as starting a cryptocurrency, that does not automatically make it a pump and dump…it could very well fail and those investing in the coins know this. TCC- I really wonder why it took him (Ryan Conley) this long to realize that this was a complete scam or was it because he got kicked out and his account frozen so he could no longer continue receiving STOLEN FUNDS anymore from his downline and Coin Balance profit. but it seems much of this is personal. Ah, he’s gonna spin it as “I got scammed and betrayed by people I used to call friends”. Basically “it’s not my fault”. Sure it is. Lack of due diligence is still stupidity. And here’s the other side of the story. Gets very personal. Sorry that second video was the follow up. There was a very angry video on facebook, but cant find it on youtube. Kelei Taylor is deffo a Ponzi queen, but lol @ Conley bringing home whores when there’s some guy willing to invest $10,000 sitting abandoned on the couch. My understanding is that Futurenet has outside revenue that allows them to pay out on their advertising packs…. much like MyPayingAds does. Come on mate, you know just a well as I do none of these adcredit Ponzis have outside revenue. Ryan Conley is a known scam artist, anything he promotes is a scam and me and my family wont have a part in this because he is involved. According to this review it is a great career makeing opportunity,growth rate of TCC showing that this is a real trading platform. but its legality is is not clear, on TCC website not clearly told about ownership of this business. I can only assume English isn’t your first language… because nowhere in the review is any of that stated. but its legalityis is not clear,on TCC website not clearly told aboutownership of this business. TCC prove no evidence of trading taking place and Ponzi schemes are illegal the world over. That much is very clear. Turns out you’ve been shown to be wrong yet again. There are multiple videos on leaders like rob harris and Jon treault fb as well as lives by joff paradise and douver brags showing the trading literally taking place. There are multiple videos on leaders like rob harris and Jon treault fb as well as lives by joff paradise and douver brags showing the trading literally taking place. Affiliates showing random trading taking place is not the same as Trade Coin Club providing a dollar for dollar accounting proving affiliate ROIs are generated via crypto trading. Don’t be a dumbass. Like I said do better research. Don’t know what Trade By Trade is, don’t care. Has nothing to do with Trade Coin Club. If you want to discuss companies that have nothing to do with Trade Coin Club do it elsewhere. They have everything to do with tcc. If you were competent in your research you would know this already. There are videos from inside trade by trade offices with trade by trade employees explaining to people how the system works and them actually navigating their way round it. Poor effort. Random videos of random trades by random companies doesn’t prove Trade Coin Club is generating revenue via trading. Nor does it link affiliate ROIs with trading activity. If you can’t substantiate your claims I’m just going to mark as spam. This Company is Run By Professional Scammers. They Go to Vietnam and Train Leaders, and those Leaders Scammed Many Poor People of thier Money. And then they Lied about it and Says that the System was Hacked into and that is why those People Lost their Money. What a Groups of LIARS!!! And How Do I know about these thing? Its because Many of My Friends in Vietnam invested in Trade Coin Club in Vietnam. I have All the Documents and Evidences from My Friends, of their Dealing With this Scamming Company. They All Deserved to Be Locked up in Jail. And May God Curse the Money which they Scammed from the Poor People!!! Please provide some MYFXBOOK link or something similar to show past trades and profitability. Are Your Requesting for Informations from Me? If So give Me Your Facebook Account, Emails, Phone Numbers…. etc. You and Your SCAMMING COMPANY RIGHT NOW ARE BEING INVESTIGATED BY THE VIETNAMESE GOVERNMENT INTO CRIMES COMMITTED TO THE PEOPLE OF VIETNAM. So it Best Your Shut up and Give the People who you have Scammed Back their Money Quickly. Unless you’re representing Trade Coin Club in a corporate capacity, then I don’t think Anil’s comment was directed at you. Can you show me all the Documents and Evidences that you have from your Friends who were scammed by TCC? Tcc website is back!! Let’s see whatsapp. @Vincent Im asking for proof of trading. If you know anything about trading you will know that they all have history of open and closed trades. Why dont you show it on here rather than on my email. What do you mean i have scammed people in Vietnam. You have lost me completely there. Or you taking your frustration out on the wrong person. Can you expand on how i took money from people. You really are deluded, you really have the wrong person. Did i hit a nerve? Can you show me all the Documents and Evidences that you have from your Friends who were scammed by TCC?…..
Or you could just read the review up above, and then the gazillion other cryptocurrency mlm Ponzi points scam reviews on behindmlm to remove all doubt. August 2, 2016 you say, hmmm, makes me remember of Hashocean and my lost bitcoins.